I would like to watch Dracula Untold, which is Set amid the brutality of 15th-century Transylvania, where young Prince Vlad is kidnapped at an early age by the Ottoman Empire and held princely hostage. Here he is trained to be a soldier in the Sultan’s elite Janissary corp, and becomes their most feared warrior, earning the nickname Impaler, after slaughtering thousands. However he is Eventually sickened by his acts, and vows to put aside his violent past and rule his domains in peace, As Vlad III (Luke Evans), prince of Wallachia and Transylvania, with his wife Mirena (Sarah Gadon). One day in the forest, Vlad and his soldiers discover anOttoman scouting party and fearing an imminent Ottoman attack , They follow a trail and end up in a high mountain cave in Broke Tooth Mountain, the ground of which is carpeted in crushed bone. Suddenly they are attacked in the dark by an unknown creature and both Vlad’s men and The Ottoman Scouting Party are all killed, but Vlad manages to escape from the cave. Returning to his castle, Vlad finds out from a local monk that the creature is a vampire, once a man who summoned a demon from the depths of hell and made a pact with him for dark powers but was tricked by the demon and was cursed to remain in the cave forever until he is released by someone who has seen him. The next day an Ottoman contingent arrives unexpectedly at the castle informing Vlad that a battalion of Ottoman scouts has gone missing, and suspects that Vlad has had them killed, naturally Vlad deny’s killing them. The emissary demands an additional tribute of 1,000 boys to be trained as Janissaries, through the devşirme system. Vlad refuses, however his army is small and no match for the Turks. So He approaches the Ottoman Sultan, Mehmed II (Dominic Cooper) to make a deal, however this is refused. In desperation Vlad tells his son to run back to his mom, then takes the emissary’s sword, kills the emissary and his small entourage of soldiers. In desperation, Vlad returns to the Broke Tooth Mountain cave to seek help from the vampire and explains he needs the power of the vampire so that he can defeat the invading Ottoman army. The vampire offers him some of his blood, which will temporarily give Vlad the powers of a vampire, but If he resists the intense urge to drink human blood for three days, he will turn back into a human. Otherwise, he will remain a vampire forever, and will one day be called upon to help his maker. Vlad accepts the offer and drinks the vampire’s blood. Waking up in the forest afterwards, Vlad discovers he has been granted heightened senses, increased strength, and the ability to transform into a flock of bats, but sunlight burns his skin. When he returns to Castle Dracula, the Ottoman army attacks, so Vlad single-handedly confronts them. He then sends most of the castle’s subjects to Cozia Monastery, on the edge of Cozia Mountain. A Romany named Shkelgim, who knows Vlad is a vampire, proclaims himself as his servant and offers his own blood, but Vlad resists. Then As they near the monastery, the Valahs are ambushed by Ottoman soldiers. The following day a monk learns of the curse and leads the the prince’s subjects to turn on Vlad, trapping him in a burning building, while the outraged Vlad angrily reveals that he became a vampire in order to protect his people from the Ottomans. That night, the Ottoman army marches on the monastery. Vlad commands an enormous swarm of bats to repel them; meanwhile a handful of Turks infiltrate the monastery and kidnap Ingeras. Mirena tries to defend her son, but is seriously injured. Dying, Mirena pleads with Vlad to drink her blood before the sun rises to give him the strength to save their son. So Vlad reluctantly drinks her blood, becoming A full-blooded vampire and gaining even greater powers. Meanwhile At the Ottoman camp, Mehmed prepares for a massive invasion of Europe through the Balkans and Hungary. Track from: Is There Anybody Out There? Label: Walt Disney Records; Publisher: Wonderland Music Company, Inc.
Label: Sony Classical, Fox Music; Publisher: Fox Film Music Corp.
Chief Mechanical Engineer Frederick William Hawksworth was born 10 February 1884. He was the last Chief Mechanical Engineer of the Great Western Railway (Great Britain) (GWR). Hawksworth was born in Swindon, and he joined the GWR in 1898, aged 15, but did not become CME until he was 57, in 1941. Having been at the forefront of steam locomotive development under George Jackson Churchward, ideas at Swindon Works had somewhat stagnated under the later years of his successor C. B. Collett, whose reluctance to give up the CME’s post resulted in Hawksworth’s lateness in taking up this position. Hawksworth had been one of Churchward’s “Bright Young Men”, and was involved in Churchward’s designs: he worked on, for example, the general arrangement drawings for “The Great Bear”. Hawksworth continued in the design tradition which he had been involved in throughout his career, but made some important improvements. In particular increased superheat started to be fitted to the larger classes under his regime, and the works started to make much more use of welded construction. Another prominent new concept was a tender with slab sides, using welded construction, giving a much smoother appearance than the traditional design with stepped sides and riveted plates. His first design to be built, from 1944, was the Modified Hall, a significant development of the Collett design with increased superheat and very different cylinder and frame construction.After the war there were four more new designs, mostly improvements of earlier types. The ‘County’ Class 4-6-0 was the last and most powerful GWR 2-cylinder 4-6-0, the culmination of a line that began with the ‘Saints’ 42 years before. The chassis was similar to the modified Hall, but the boilers were to a new design, larger in diameter than the Std 1 (Hall) boiler but smaller in diameter and appreciably shorter than the Castle boiler. This boiler used tooling which was available from LMS 8F 2-8-0 boilers which Swindon had built for the Railway Executive during World War II and was pressed to 280psi, higher pressure than any previous GWR boiler. They used some of the names from the vanished Churchward County Class 4-4-0s. He also designed The taper boilered 9400 Class 0-6-0 pannier tank, which were similar to the 5700 class under the footplate but had a much larger boiler giving them more power and adhesive weight – and thus braking capacity. Only the first ten, built by the Swindon, appeared under the GWR. The last two designs were only seen in British Railways livery. Arguably his most radical design was the 1500 Class. This had the same boiler as the 9400 but an all new short wheelbase chassis with outside Walschaerts valve gear and no running plate, and made considerable use of welded construction. They were designed for easy maintenance by the trackside. 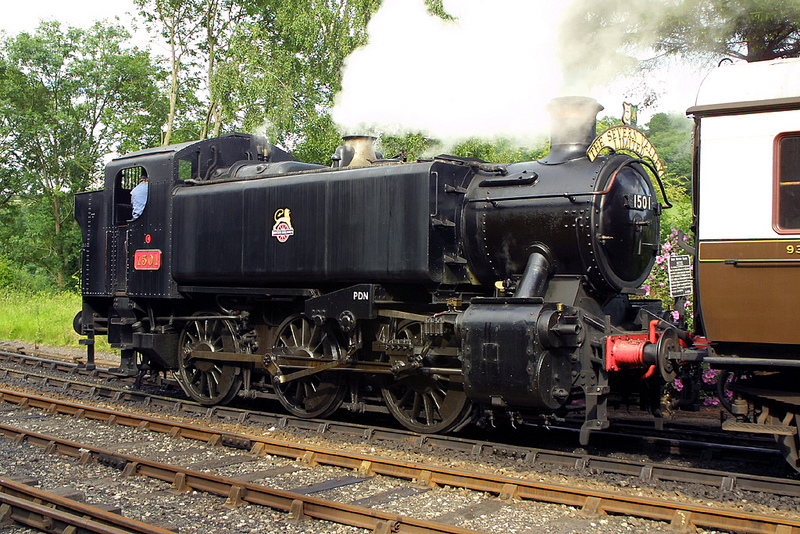 The last Hawksworth design was a very light conventional 0-6-0 pannier tank, the 1600 Class. This was a modernisation of the 2021 Class. Hawksworth remained Chief Mechanical Engineer through the formation of the Western Region of British Railways in 1948, continuing to work on locomotive design until retiring at the end of 1949. He died in Swindon 27 years later in July 1976. His ashes are buried in St. Mark’s Church, adjacent to the former site of Swindon Works. Best known for writing the novel “Crime and Punishment” the Russian Novelist Fyodor Dovstoyevsky sadly passed a way on 9th February. Born 11 November 1821 in the Mariinsky hospital in Moscow, Russia. Dostoyevsky was introduced to literature at an early age – fairy tales and legends, as well as books by English, French, German and Russian authors. His mother’s sudden death in 1837 devastated him. At around the same time, he left school to enter the Nikolayev Military Engineering Institute. Once he graduated, he worked as an engineer and briefly enjoyed a liberal lifestyle. He soon began to translate books to earn extra money. 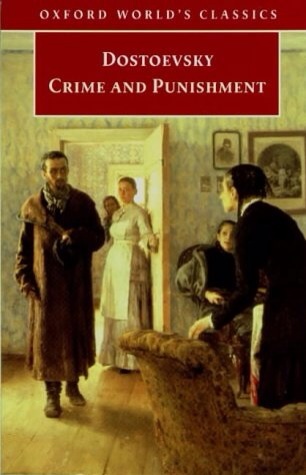 Around the mid-1840s he wrote his first novel, Poor Folk, allowing him to join St Petersburg’s literary circles. He also wrote short stories and essays which explore human psychology in the troubled political, social and spiritual context of 19th-century Russia. Although Dostoyevsky began writing books in the mid-1840s, his most remembered are from his last years, including Crime and Punishment, The Idiot and The Brothers Karamazov. He wrote eleven novels, three novellas, seventeen short novels and three essays, and has been acknowledged by many literary critics as one of the greatest and most prominent psychologists in universal literature. In 1849 he was arrested for his involvement with the Petrashevsky Circle, a secret, however society of liberal utopians as well as a literary discussion group. He and other members were condemned to death, but the penalty proved to be a mock execution and the sentence was commuted to four years’ hard labour in Siberia. After his release, Dostoyevsky was forced to serve as a soldier, but was discharged from the military due to his ill health. In the following years Dostoyevsky worked as a journalist, publishing and editing several magazines of his own and later a serial, A Writer’s Diary. When he began to travel around western Europe, his finances suffered because of his gambling addiction and he had to face the humiliation of begging for money. He suffered from epilepsy throughout his adult life. But through sheer energy and the volume of his work, he eventually became one of the most widely read and renowned Russian writers, His books remain popular and have been translated into more than 170 languages and sold around 15 million copies. He has also influenced a vast range of writers, from Anton Chekhov and James Joyce to Ernest Hemingway, Jean-Paul Sartre and Ayn Rand, to name but a few.